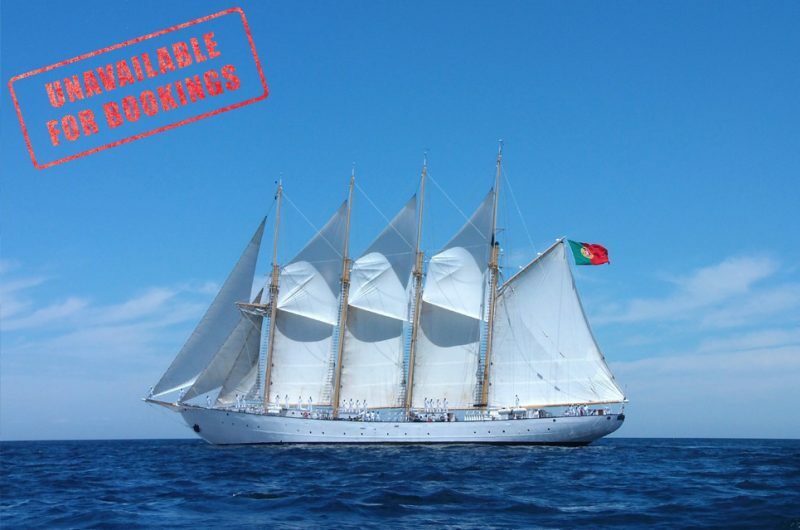 Creoula is a four masted schooner which was launched in 1937 after a record building time of 62 working days. She has a reinforced bow to enable her to fish in the icy seas off Newfoundland and Greenland. Until her last fishing trip in 1973, Creoula had wooden topmasts, boom and gaffs. She had run 37 fishing expeditions achieving sometimes nearly 36 tons of fish in a single day. 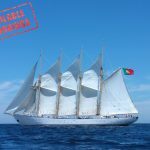 In 1979, she was bought by the Portuguese Secretaries of State for Fishing and Culture with the intention of creating a Museum of Fishery, but when the hull was found to be in such good condition, it was decided to keep her sailing as a sail training vessel for young people and future fishermen. Creoula is one of the few schooners remaining in almost perfect condition, since her origin. Currently, the ship's mission is to provide "sail training" which translates to giving a true experience to civilians about the raw experience of living and working at sea, at any condition. By doing that, civilians on board can taste for a split second what it takes to be a sailor. Of course, the good moments shared among themselves and the crew provide the joy of fellowship as well. Since the moment civilians come aboard, they become part of the crew, concerning the daily work routine. They will execute all tasks that the rest of the crew does, from steering the ship, doing the everyday morning deck cleaning, helping in the kitchen baking bread, standing watch, and every time the sails go up they will be one of the ship's main crew members.